Wholeheartedly, I will claim Fleetwood Mac’s Tusk album as a favorite. 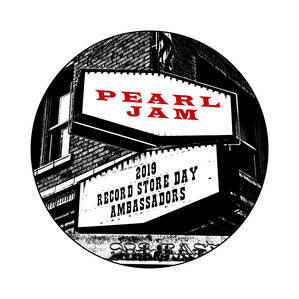 And the recent re-issued that was accompanied by a second disc of album demos stayed on repeat for a number of roadtrips. Thus, I’m excited to see Deerhunter’s Bradford James Cox record a version of “Walk A Thin Line” for his Atlas Sound solo project. I think Huffy would agree. With the summer waning into early darkness, it probably best to make the most of these remaining warm nights. Thus, this is a no brainer. 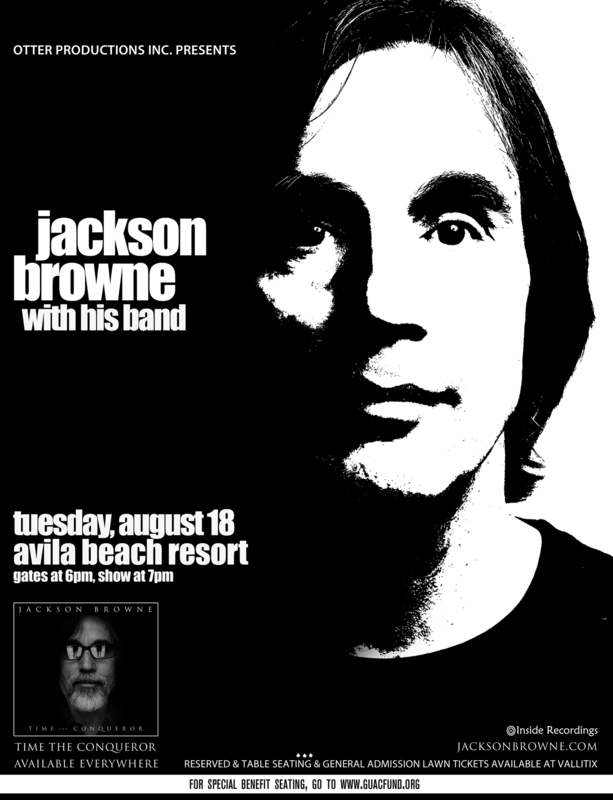 Enjoy the relaxed lawn seating of a sunset concert with Jackson Browne as he plays with a band. The show is next Tuesday, August 18th. It starts at 7pm with no opening act,and with a curfew of 10pm, means you can still be home to catch the evening news. We’re offering you a chance to win a pair of tickets. Scroll on down, and we’ll pick a winner on Friday, giving you plenty of time to get Wednesday covered. 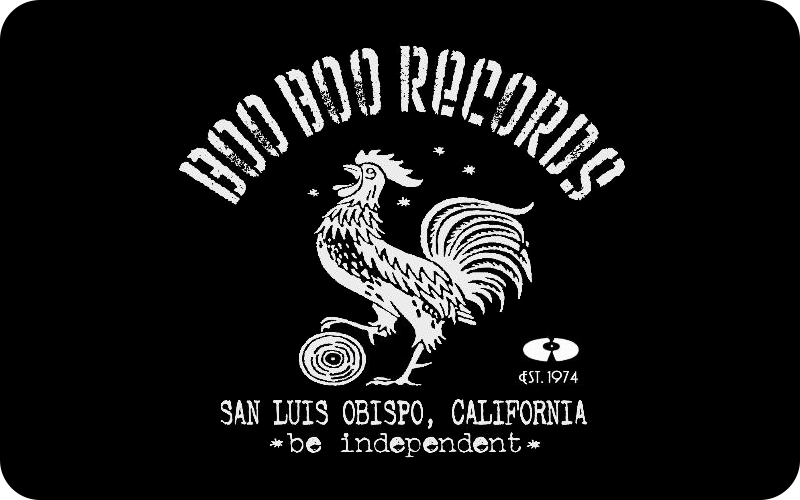 Tickets are also available here at Boo Boo Records as well as at the door. In many ways, Jackson Browne was the quintessential sensitive Californian singer/songwriter of the early ’70s. Only Joni Mitchell and James Taylor ranked alongside him in terms of influence, but neither artist tapped into the post-’60s Zeitgeist like Browne. While the majority of his classic ’70s work was unflinchingly personal, it nevertheless provided a touchstone for a generation of maturing baby boomers coming to terms with adulthood. Not only did his introspective, literate lyrics strike a nerve, but his laid-back folk-rock set the template for much of the music to come out of California during the ’70s. With his first four albums, Browne built a loyal following that helped him break into the mainstream with 1976’s The Pretender. During the late ’70s and early ’80s, he was at the height of his popularity, as each of his albums charted in the Top Ten. In 2004, the two-disc The Very Best of Jackson Browne hit the shelves as Browne was being inducted into the Rock and Roll Hall of Fame by fellow Hall of Famer Bruce Springsteen. Around this time Browne took to the road and played intimate acoustic shows around the globe. The 2005 release Solo Acoustic, Vol. 1 was compiled from these concerts and appeared on Inside Recordings, an independent label founded by Browne. Solo Acoustic, Vol. 2 appeared in 2008, while an album of new material, Time the Conqueror, followed later in the year. Rain or Shine. Please no outside food or beverages. No pets. Who doesn’t remember Arrested Development? “Tennessee?” “Mr. Wendal?” Huge hits that still pull the heartstrings of old schoolers and modern-day nolstagia lovers alike. And thankfully, their reunion in 2006 sees them returning to the hip-hop soul that contemporaries like Spearhead have kept alive. We’re giving one lucky winner a free chance to refresh your memory on how fantastic this group was, and still is.Scroll down to enter.. Coming to Downtown Brew, next Tuesday, August 18th, tickets are still available here, at DTB and at the door. Opening act Venomous Voices hits the stage at 8:30. We’ll pick a winner this Friday. One of the major success stories of 1992, Arrested Development are a progressive rap collective fusing soul, blues, hip-hop, and Sly & the Family Stone-influenced funk with political, socially conscious lyrics. Arrested Development’s debut album took its title from the amount of time it took the group to secure a record contract; 3 Years, 5 Months & 2 Days in the Life Of… produced the hit single “Tennessee”. Its two follow-ups, “People Everyday” (a rewrite of Sly’s “Everyday People”) and “Mr. Wendal” top the charts likewise. Accolades poured in; Arrested Development won Grammys for Best Rap Album and Best New Artist, and was named Rolling Stone’s Band of the Year. 3 Years… was a major influence on a new breed of alternative southern hip-hop, including Goodie Mob, OutKast, and Nappy Roots, and it still stands as one of the better albums of its kind.